Something you can’t find? Call us at 913-782-1710 or email us at missbrightsidesmaids@gmail.com! Yes, Miss Brightsides Maids is fully insured. It’s a privilege for you to have us in our home and we always try to be careful. If something is accidentally damaged please notify us within 24 hours. Miss Brightsides Maids house cleaning services was founded in 1993 by brother and sister Mike & Laurie Snodgrass. We cleaned all the houses ourselves in the beginning, many days 3 houses a day by one of us. We’ve served thousands of customers since then and we have customers since the time we started! Can I trust Miss Brightsides cleaners? All our cleaners have been vetted. Several have been working over 10 years and they want to do a good job for you. Miss Brightsides Maids, Your Next Best Friend! is our motto and we want to do a consistently good job cleaning your house! We love all pets and as long as were both friends everything is fine. If you do have a pet that’s somewhat anxious we would appreciate some help with that. Please let us know if you have any special instructions for your pet by contacting us. Does Miss Brightsides Maids have great references? Yes! 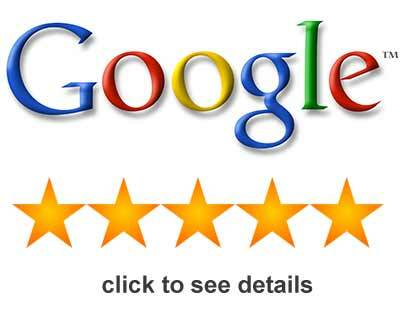 See our testimonial page and online reviews. We have years of happy customers all the way from 1993! Do we use safe cleaning products? Yes, all the maids and cleaners are trained to use products that are safe for all surfaces, wood, tile, glass, etc. Can I give the maids special instructions? Yes, please feel free to leave notes or call the office with special instructions and we will update your data for future cleanings. We want each customer to know we are listening to you! What about post remolding in my home? Not a problem. This is quite common and often there will be a fine layer of dust on everything! Give us a call and we’ll make special arrangements to get it cleaned and give you pricing information. Do you get a discount for being a regular customer? Yes, regular customers get the best possible rates. The more frequent the better rates! Customers who subscribe to us on a weekly, bi-weekly or monthly service deserve a better rate! What if I don’t have a vacuum or cleaning supplies? We provide all the cleaning supplies and equipment, including the vacuum to do the work and clean your beautiful home right! Yes, currently we do smaller offices and locations but we’re still growing. Call us at 913-782-1710 or email us at missbrightsidesmaids@gmail.com and we’ll be glad to get you an estimate! Do I need to be home for my cleaning? No, as long as we have a course of entry and instructions on exit we can do our job and lock up for you. Please give us any special instructions to keep your data current. Will you get the same maids or cleaners each time? Yes, we’ll send you the same supervisor and team members each time. There will be occasions when the same team won’t be able or a particular maid won’t be able to come for various reasons such as a sick child or on vacation, etc. But you will get the same team the vast majority of the time for your cleanings. What about customizing my cleaning? We work with customers all the time to get their cleanings right. Please contact us about these kind of additional services or giving special attention to certain areas. Are the cleaning supplies safe? All our supplies are safe and our maids are trained to use them properly. If you have a special product such as Bona, etc. you’d like us to use we can use that product as well. Miss Brightsides Maids pricing depends on the size of your home and the desired level of service. You can range our prices online for the size of your home and your needs. We can set you up on 30 net invoicing and you can pay monthly. We’ll send out an invoice and you can pay by check on pay online by credit card. Most charges will occur within a few days to a week and we can send you out a paid invoice through email. How do I change billing information? Simply call the office to change your billing information. Please try to notify us by 5:00pm the day prior to your cleaning. We need to try to fill that spot if you cancel for the day. There is no cancellation fee the first time but for subsequent late cancellations there will be a 35.00 fee. Tips are not required, but if you find your maids are doing a good job, working for a tip, leaving you notes about things they’ve done and are pleasantly keeping you informed then yes please tip them they are working hard to do a good job and please you!